Thank you booking.com for organising the upgrade! It was fantastic. The views were magic. After our London misadventure this was just what was needed. 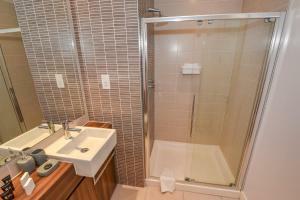 Spacious apartment, very clean & well equipped. Reception staff very helpful & friendly Good to be able to store luggage. 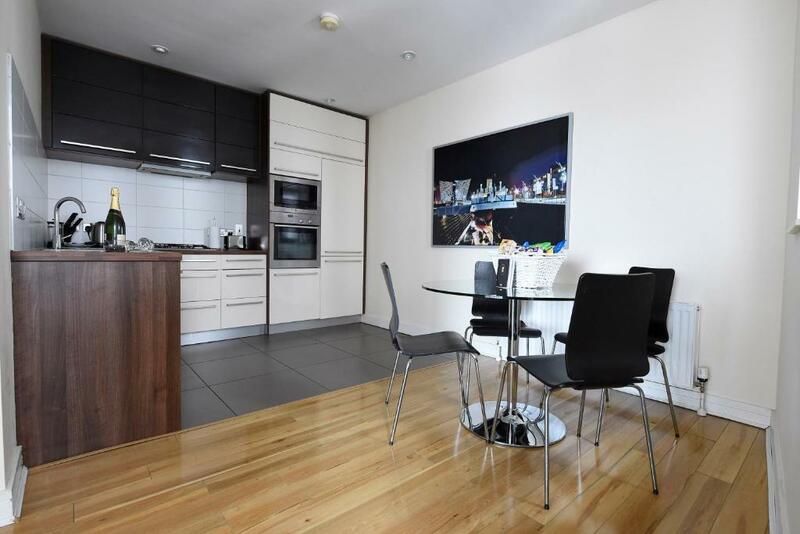 Excellent Location close to city centre. Will definitely book again. 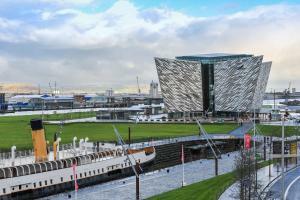 Was given a complementary taxi to get to the titanic museum because of a mi up in bookings. Light and spacious. Walking distance to where we wanted to go. Convenience store on site. Excellent location, very friendly staff, clean throughout and the chocs and toiletries were a nice touch. Location and staff are fabulous. The views are wonderful from the apartment. 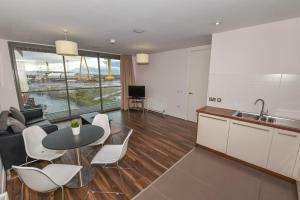 Lock in a great price for Dream Apartments Titanic Arc – rated 8.4 by recent guests! 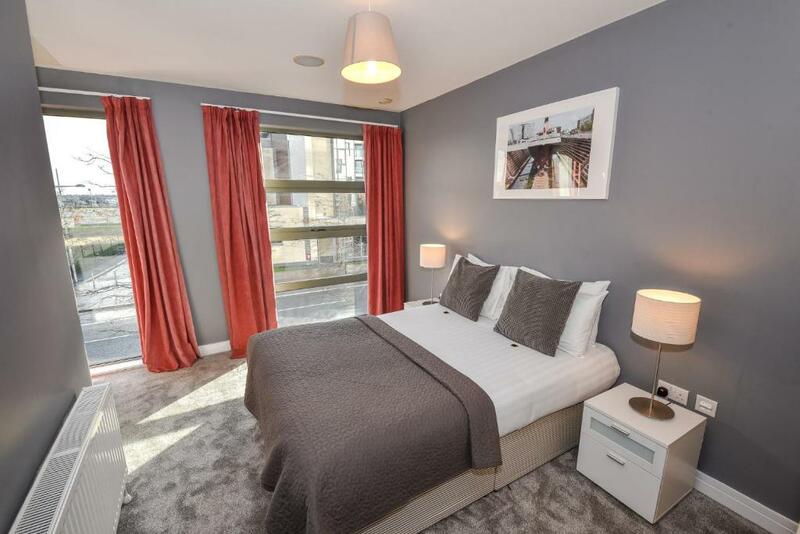 Dream Apartments Titanic Arc This rating is a reflection of how the property compares to the industry standard when it comes to price, facilities and services available. It's based on a self-evaluation by the property. Use this rating to help choose your stay! 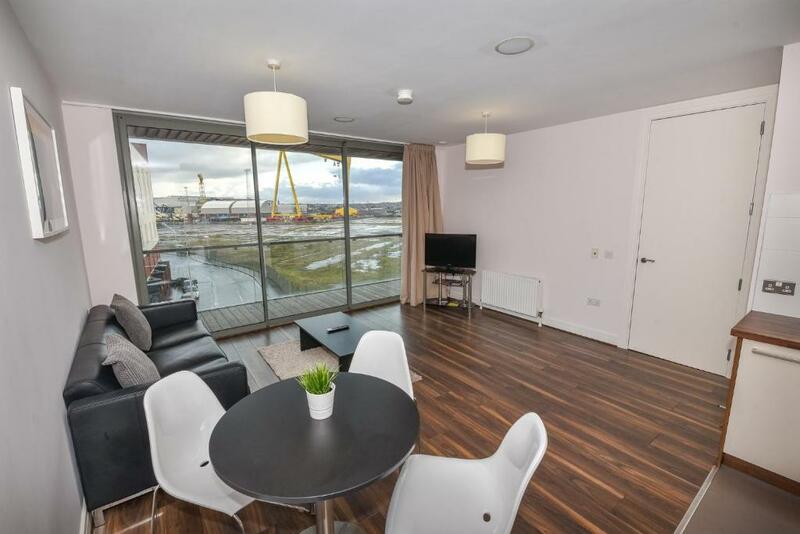 Featuring city views, Dream Apartments Titanic Arc has accommodations with a terrace and a balcony, around a 5-minute walk from SSE Arena. 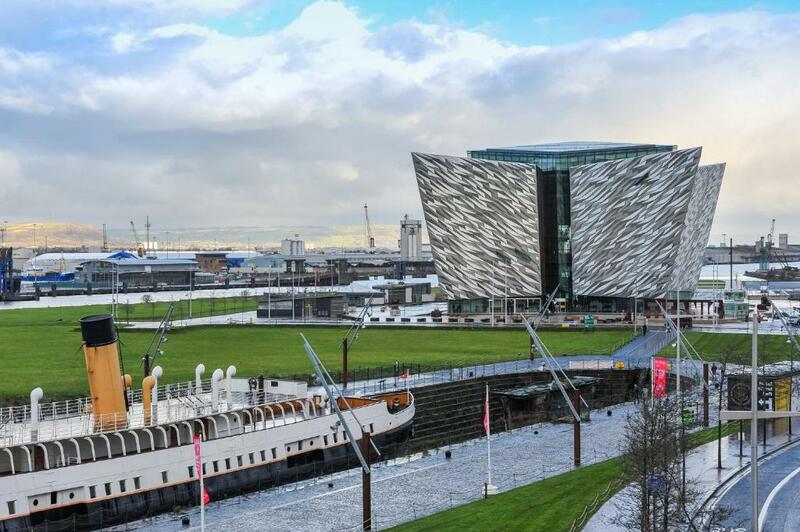 The property is 0.7 miles from Titanic Belfast and private parking is available. 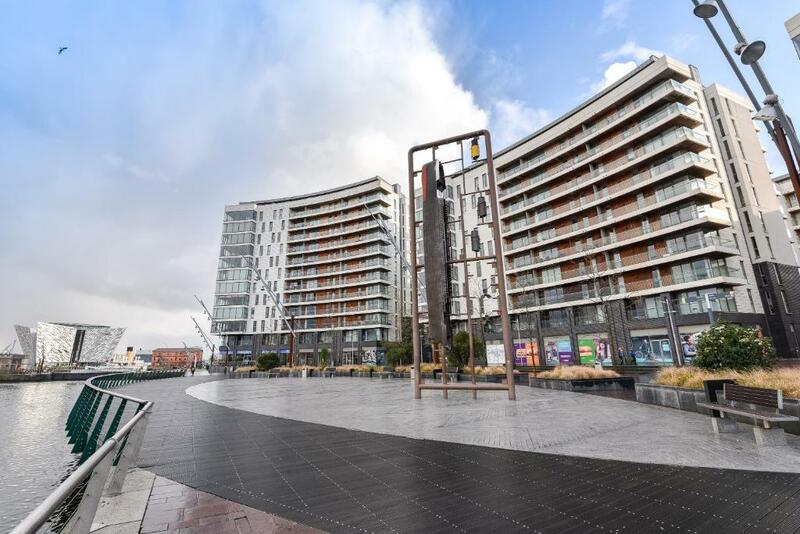 The Waterfront Hall is a 20-minute walk from the apartment. 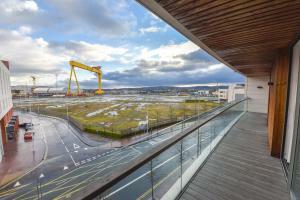 The nearest airport is George Best Belfast City Airport, 2.4 miles from Dream Apartments Titanic Arc. When would you like to stay at Dream Apartments Titanic Arc? Private parking is available at a location nearby (reservation is needed) and costs GBP 15 per day. This spacious serviced apartments is located in Titanic Quarter’s first residential development phase, the ARC. It is one of Belfast’s most sought after locations, providing stunning views over the marina and Belfast Hills. One hundred years ago the area was home to the most innovative ideas in engineering. Today it provides a home for those who want enjoy the latest innovations in urban living, including one of Europe’s fastest fibre-to-the-home networks. Our aim is to provide an unrivalled accommodation service to business and leisure travellers alike by offering undeniable value as well as positive and unforgettable guest experiences. House Rules Dream Apartments Titanic Arc takes special requests – add in the next step! A GBP250 damage deposit is required on arrival (around USD322.68). This deposit will be fully refunded at check-out, as long as there isn't any damage to the property. Dream Apartments Titanic Arc accepts these cards and reserves the right to temporarily hold an amount prior to arrival. Please inform Dream Apartments Titanic Arc of your expected arrival time in advance. You can use the Special Requests box when booking, or contact the property directly using the contact details in your confirmation. A damage deposit of GBP 250 is required on arrival. That's about 322.68USD. This will be collected by credit card. You should be reimbursed on check-out. Your deposit will be refunded in full by credit card, subject to an inspection of the property. Nothing to dislike. Satisfied with everything . Checking in I was given a print off of directions but only told me how to get to queens road so had to ring for directions.. when got there the zapper to get in to car park wouldn’t work had to ring no on answered so left a voicemail but nobody ever rang me back luckily someone came along and let us in.. then we couldn’t get into the building as it wasn’t explained so I had to go looking and I found someone who explained to us..
Was no communication from Dream Apartments as where to pick the keys up. Was sent on a bit of a wild goose chase. Both kitchen and bathroom floors were not clean and the showers could do with a lot of scrubbing. Beds were comfy. Didn't receive croissants. Tee towel and hand towels needed in kitchen. A pair of scissors would have been useful too Postcode on email was not accurate and we spent at least an hour driving over and back over bridge in heavy traffic trying to find office for keys. Reception needs to be more obvious with stronger more noticeable boards outside office to advertise. We were parked outside it and didn't know where it was so had to ask someone. Collecting keys from reception as we had to wait a while before we got the room sorted. The apartment does not have views and outside furniture as described. The sofa was uncomfortable.There was no tin opener. There was noone available to collect our keys on arrival. The collection is a good 15 min walk away from the apartment which was difficult with bags etc. We went to the apartment address in a taxi as the web site gave this address, only find out that the keys had to be picked up from the other side of the river. The receptionists' guidance to their office was very poor, referring to a 'glass building, of which there are many, and the fact that you could easily see it from the river. What she did not say was that their entrance is hidden behind the building, off a small side road to the rear of the river walk in a building numbered 64. Why not offer the road name! Worse, her attitude was dismissive telling us it was company policy, and that I had been emailed with the address, amongst dozens that week. No sympathy or help was offered regarding the situation either. It was just tough on us and it is 'company policy'.